California Cartoons is a series of art prints that are based on memories from one’s childhood that have had deep impact through the years. We created a way for California Cartoons to share these memories via a brand identity and website. 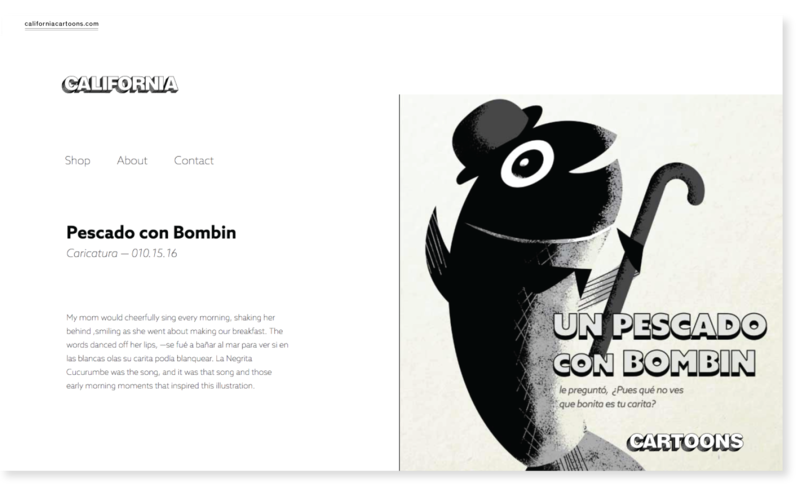 Inspired by vintage cartoon title cards, the brand identity evolves around bold type, shades of black, grey, white and a whimsical layout to the website. Art prints have been laid out by us and will be sold on our shop. 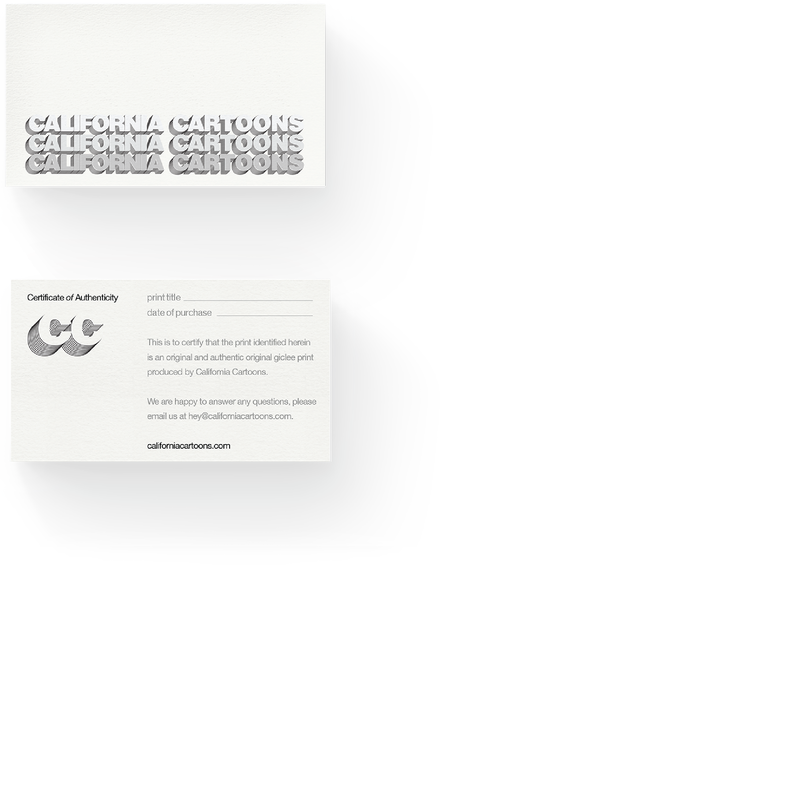 To create cohesion through out the brand, the art prints display the same type treatment as does the logo and website. 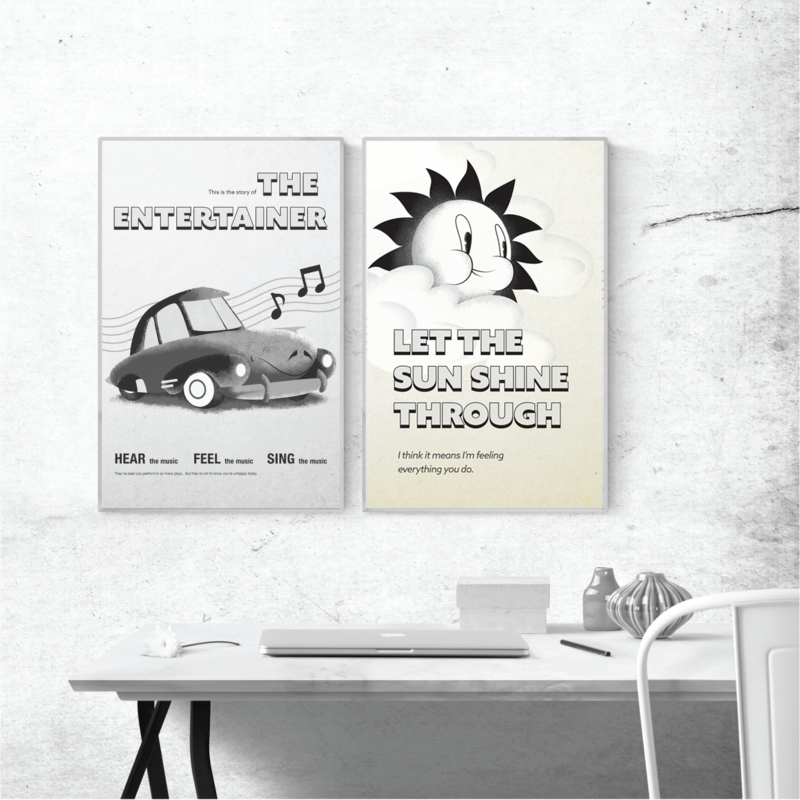 They also take inspiration from vintage cartoon posters to create further nostalgia and intrigue.